A sumptuous array of vintage Roses and Carnations arranged by our skilled local florists. 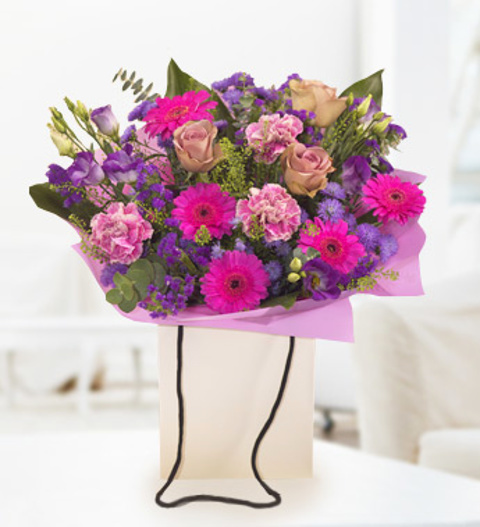 This bouquet is made up of vibrant Gerbera, Lisianthus, Statice & Aster beautifully presented in a gift bag and aqua packed for freshness. This bouquet is delivered by hand by one of our local florists.